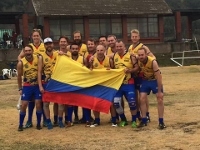 Australian Rules football in Colombia, South America, is about to take another leap forward with the upcoming visit by the Austin Crows from Texas. 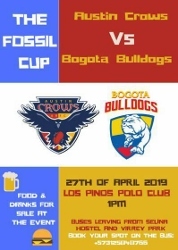 The entire footy community across Colombia is excited at the upcoming ‘Fossil Cup’ to be played Saturday week at the Los Pinos Polo Club in western Bogotá. The match itself will be the first of three international games this year for the Bogotá Bulldogs. In May the Denver Bulldogs arrive from Colorado for a very canine clash. 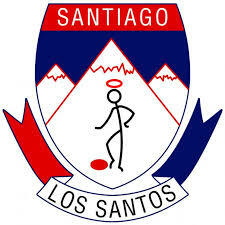 Later in the year the 2019 Andes Cup will be played against the Santiago Saints from Chile to again decide the best team in South America. History was made last week in Bogota when the first ever women's footy match was played in South America. 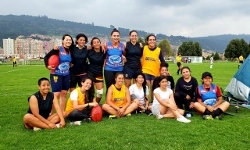 In a prelude to the opening AFL Colombia match between the Bogota Bombers and Bogota Bullants, each team fielded a first ever women's team. For the record, the game was a thriller with the Bombers holding on to defeat the Bullants by two points. 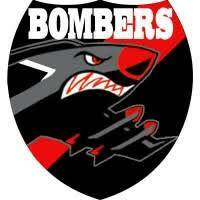 The final score saw the Bombers 2 6 18 defeat the Bullants 2 4 16. The following link shows the first women's goal kicked in South America. The new AFL Colombia season has begun and the flagless Bogotá Bombers got away to a perfect start, downing the Bogotá Bullants by 15 points to draw first blood for 2019. 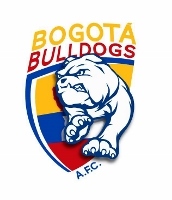 The following report comes from the Bogotá Bulldogs/AFL Colombia. The 2019 CAFL season opened on Saturday with the Bogotá Bombers emerging 15-point victors from a tightly contested clash with reigning premiers, the Bogotá Bullants. The contest began as a scrappy affair, neither side making the most of their chances, and a tug of war in midfield. CAFL debutante Angela Toro and Fernando León led the way for the Bombers, while last year’s league Best and Fairest winner (check this) Yesid Gonzalez and Dominic Fuentes matched them for touches. The Bombers struggled to a narrow seven-point lead at the first break, having kicked a wasteful 2.4 to 1.3, the Bullants’ lone goal coming from a lovely left-foot snap by Camilo Vinasco. Lia Timson is Deputy Foreign Editor at Fairfax Media. The following story from Lia at www.theage.com.au looks at how the “Santiago Saints get their kicks in very Aussie way”. Her story brings the Santiago Saints back into the international spotlight after playing an almost secondary role to the Bogota Bulldogs in recent years as Colombian footy has grown. This story also touches on the mechanics of a club behind the scenes and how they develop and exist many miles from the Australian Rules football heartland in Australia – how the ex-pat Aussies drive the game with the help of people from all over the world and locally in Santiago. Santiago: What’s uniquely Australian but becomes global as soon as a bunch of Aussies get together on the other side of the world? If you said AFL, welcome to the Chilean capital, where Australian rules is proudly played by expats from all states Down Under, as well as from France, the United States and Colombia. Locals join in too. 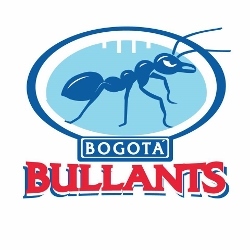 The Bogota Bullants have downed the Bogota Bombers in yesterday’s AFL Colombia Grand Final to win the second competition premiership. The Bullants were too good for the Bombers and ran out comprehensive winners by 49 points with the final score seeing the Bullants 132 defeating the Bombers 83. Earlier this year, the DC Aguilas won the inaugural AFL Colombia premiership. The Bullants have now claimed the second Colombian flag, making their own impact on Colombian footy. The Bogota Bombers have reached their first AFL Colombia Grand Final, downing the DC Aguilas to meet the Bogota Bullants in the big dance. The Aguilas won the inaugural AFL Colombia premiership earlier this year. Their format sees two mini seasons per year, giving the Bombers and Bullants their chance to join the honour roll. From the mighty pen of AFL Colombia, here is the match report. What a cracker of a game we had last Saturday. Coming up to the start of the match, you could feel the tension, as both teams weren't ready to be knocked out of the competition. The Gourmet Burger Bar Bogota D.C. Aguilas looked confident, arriving with a full team that included a full strength Captain Paddy Smallwood, Denny transplant Will Keech, Colombian breakout and new Bogota Bulldogs Torres Sergio and the return of the DC Rockett from his travels abroad. Teams in Bogota are back in training ready for the conclusion of the second AFL Colombia season. 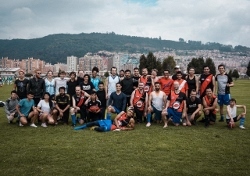 The local clubs have enjoyed a small hiatus as attention moved to the recent Andes Cup, won by the Bogota Bulldogs over the Santiago Saints from Chile. After a couple of weeks rest to freshen up and attend to various bruises and other trophies from the game, the players are ready to go again. Three matches remain over coming weeks to decide the new champion. The inaugural season which was played earlier in the year was on by the DC Aguilas. However, so far, the Bogota Bullants and the Bogota Bombers have defeated the Aguilas, sting up the prospect of a new champion to see out the 2018 season. The 2018 Andes Cup has been won again by the Bogota Bulldogs from Colombia. It makes it three wins from three tournaments against the Santiago Saints representing Chile. The two nations are leading the way in growing Australian Football on the South American continent – more than a few nearby nations will be watching the result. Their battle on the weekend saw one club (Saints) on the back of a long history playing the game in Santiago without regular competition up against the club (Bulldogs) that has seen the creation of the AFL Colombia competition this year. Their players had come off an entire local season and a couple of games from a new one. 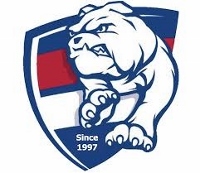 On face value, the Bulldogs probably had an advantage in sheer match play and conditioning.